Today I am sharing my current two favourite masks to use together. Calgary weather does a funny thing to my skin, making some of it dry and other oily. I first heard about using combination masks when I had a facial and the skin specialist used two masks. The first mask is Origins Clear Improvement Active Charcoal mask. This has been one of my favourites for a really long time. Nature's complexion clean-up crew clears the way for skin to act its best. Bamboo charcoal acts like a magnet to draw out deep-dwelling pore cloggers, white china clay absorbs environmental toxins, lecithin dissolves impurities. Skin looks clear, feels perfectly pure. The second mask is Fresh Rose Face mask. I was introduced to this mask when I went into Sephora and they gave it to me as an early birthday gift and so far I am really loving it. Historically romantic and classically fragrant, the rose flower yields a precious oil brimming with nutrients that naturally soothe the skin and stimulate the senses. Infused with 50% pure rosewater and an average of two and a half roses per jar, this unique mask restores radiance and suppleness to all skin types. The addition of cucumber extract and aloe vera reduce inflammation and calm the skin while green tea helps brighten and protect. I always cleanse my face first and then open my pores with a hot damp face cloth, then I put the Origins Clear Improvement Active Charcoal mask on. I use it on any areas of my skin that I feel are particularly oily, such as my forehead, nose and chin. My skin tingles a little while using this mask and it feels it is getting really deep into my pores. I then apply the Fresh Rose Mask to my cheeks and around my nose, the one area of my face that always seems a little dry. This is the first product I have ever used by Fresh but I have always been intrigued by them in Sephora. This mask is a gel consistency, although does seem to dry a bit when applied. I leave both masks on for about 10 minutes and then remove them both with a warm damp muslin cloth. The Origins mask is pretty tough to get off and this seems to be the most gentle way to remove it. My skin looks and feels incredible after using the Origins mask, it really feels as though the charcoal has removed all of the grime from my pores. The Fresh Rose mask makes my skin feel very soothed and hydrated and I feel like it is the perfect mask for drying winters. The only thing I didn't like about the Fresh mask is that it comes in a tub without a spatula. I prefer masks that are packaged to be squeezed out as I find it more hygenic. Have you tried either of these masks? What did you think of them? Follow me on Instagram, Pinterest and Twitter. Jo Malone colognes are some of my favourite scents of all time. 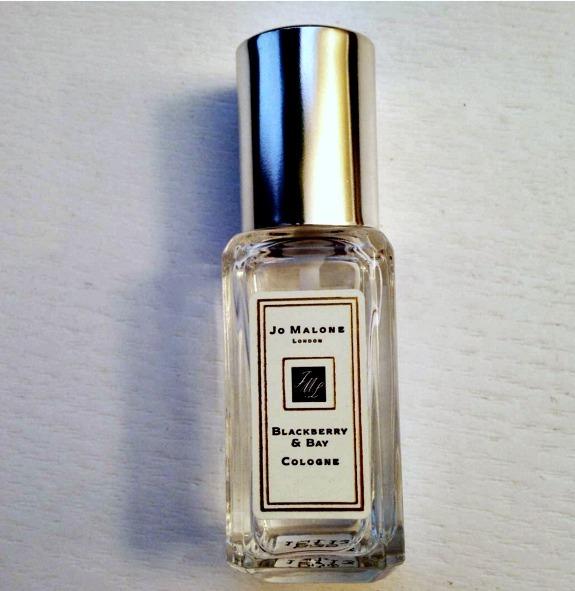 The first Jo Malone that I used was Earl Grey and Cucumber. My mum kept her bottle in the bathroom at home and every time I would visit I would spray it on me, eventually, she ended up giving me the bottle. If I had to pick four favourite Jo Malone colognes, they would be 1. Earl Grey and Cucumber 2. Wild Bluebell 3. Pomegranate Noir 4. Blackberry and Bay. I received Blackberry and Bay in a gift set that my mum bought me for Christmas. It is a scent that I hadn't smelt before. The cologne was put together by Fabrice Pellegrin, the man who is also behind some Diptyque and Thierry Mugler scents. When asked what is so special about the Blackberry and Bay scent, he says: "special because is a fruity fragrance but green too. A little unusual. All the fragrances in the market are fruity gourmand but this is not the case. This one is fresher, crunchy and not so sweet." Jo Malone has different scent categories; citrus, floral, fruity, spicy, light floral, woody and cologne intense. Blackberry and Bay fall under the 'fruity' category. They describe the scent as: "childhood memories of blackberry picking...a burst of deep, tart blackberry juice, blending with the freshness of just-gathered bay and brambly woods. Vibrant and verdant." When I sprayed Blackberry and Bay I think the first note that hit me was the Bay as it smelt a little woody and then hints of the cedar came through giving it the greenery scent. As the scent settled it developed into a beautiful fruity smell with the blackberry and grapefruit coming through. I really love this scent, it is fresh and different from anything I have smelt before. Even Dan noticed I was wearing a different perfume and asked what it was! I honestly think this could be a unisex scent, much like the pomegranate noir cologne. Have you smelt Blackberry and Bay? 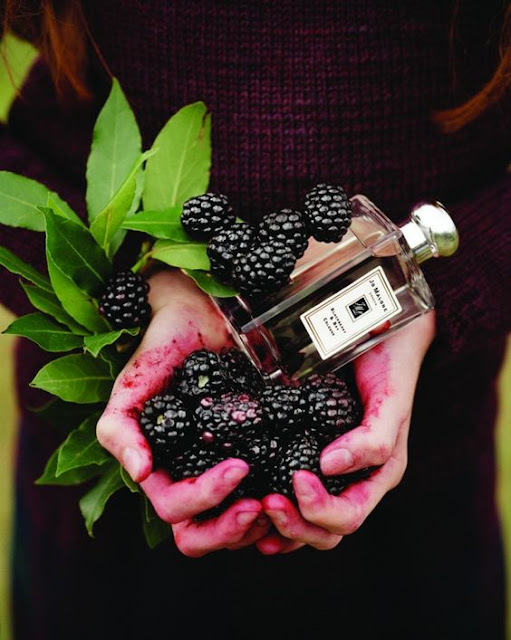 What is your favourite Jo Malone cologne?